This short conversation, however accurate it may or may not be, does leave out some vital parts of an exciting weekend. 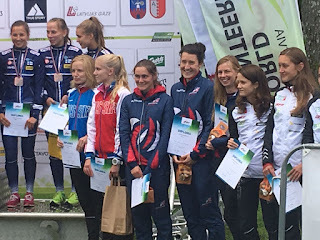 The highlights of which were definitely an individual joint 4th place for Cat Taylor in the sprint race, and a 5th place for the Women’s relay team. There were also many other performances which could easily be overlooked but which should still provide both the athletes themselves, and the many fans of the British Senior Team, cause for optimism. Picking races that British runners are going to do well in is actually fairly straightforward (Mixed Sprint Relay, Sprint, Forest Relay). The team has picked up a diploma (4th to 6th) or better in at least one of these disciplines at every World Championships since 2010. The World Cup Round 3 is coming us and Ralph has done us a wee preview. International orienteering is back! World Cup Round 3 kicks off with a middle race on Friday, a relay on Saturday, and then a sprint double (qualification and final) on Sunday. 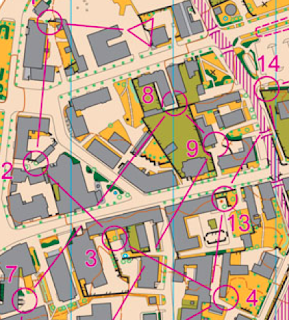 Two things of potential interest: this is “Round 3” because of course the World Championships were “Round 2”, and this is the first (forest) relay at a World Cup for many years, possibly 2006 but that is before I was an orienteering nerd so I am not totally sure. The races will have a little more significance than normal because Latvia is hosting the World Championships next year, these races provided the ideal starting point for basing the next year’s training on.